This past summer tobacco prevention staff along with Partnership volunteers completed presentations at two Okeechobee County Summer camps to educate youth campers on the dangers of tobacco use, including the different types of tobacco and how each type of tobacco affects your body. 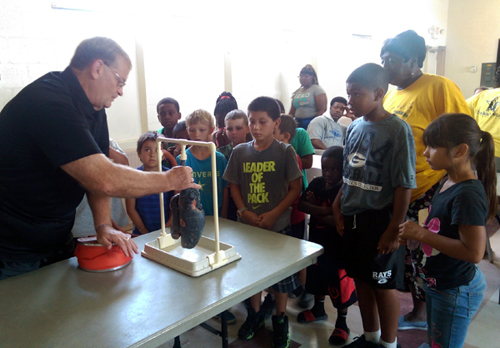 Tobacco Free Partnership of Okeechobee member Butch Berlin educated campers on how tobacco smoke can affect your lungs by using a pig lung demonstration. Each student was able to come up close and examine the lung and were asked to point out areas that looked to be abnormal lung tissue. The students were very interested in the lung and where given a Tobacco Free Brahman bracelet afterwards to remind them to remain tobacco free. 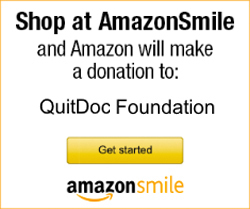 For more information on the work of the Tobacco Free Partnership of Okeechobee County, or to become a member, contact Courtney Moyett at CMoyett@QuitDoc.com.